The Utah Tobacco Retailer Education Guide will help you reduce youth having access to tobacco and e-cigarette products. This guide has tips for managers and employees to keep tobacco products and e-cigarettes out of the hands of youth. The guide also contains information about tobacco laws and local health department contacts. This short quiz will help you show how much you know about stopping tobacco sales to youth. 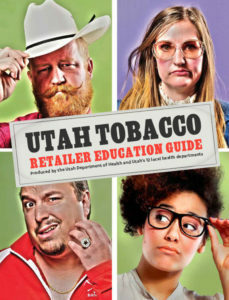 The answers can be found in the Utah Tobacco Retailer Guide. 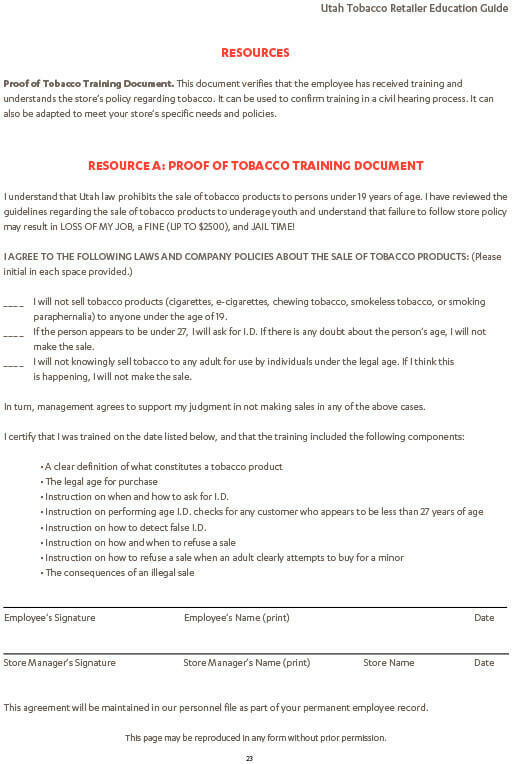 This document indicates that an employee has received tobacco training. It can be used to confirm training in a civil hearing process and to meet your store’s needs or policies.